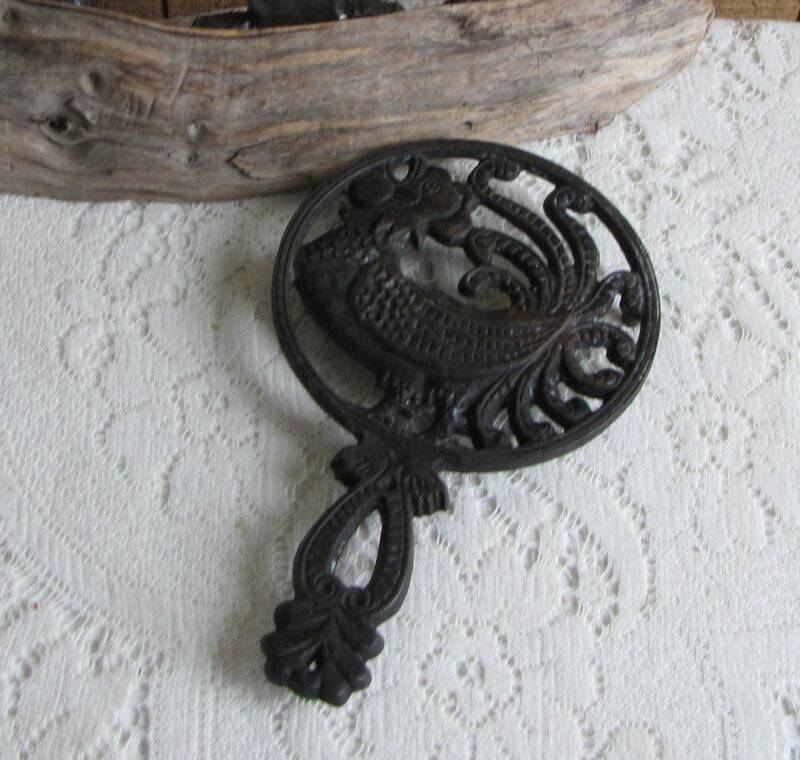 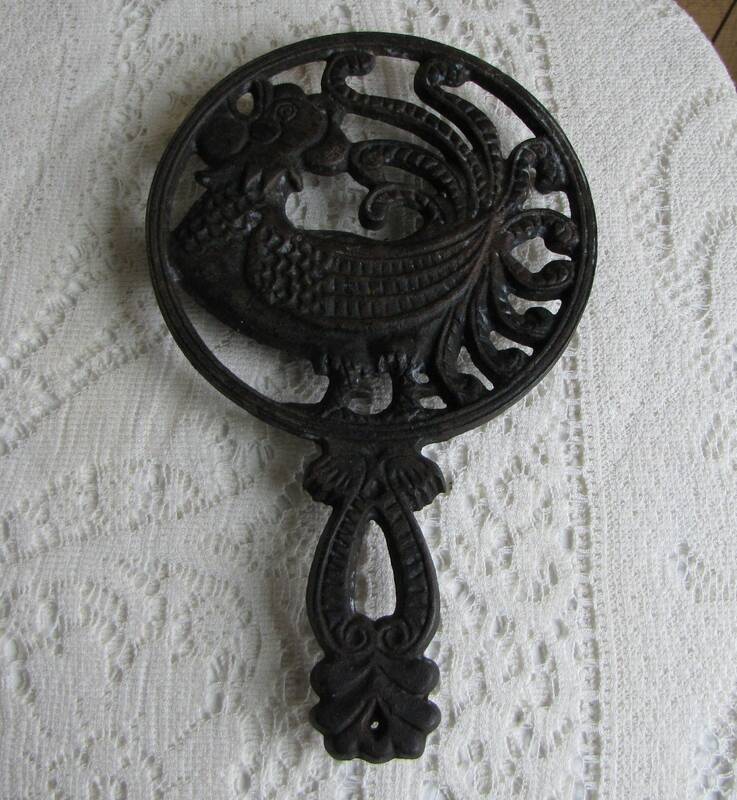 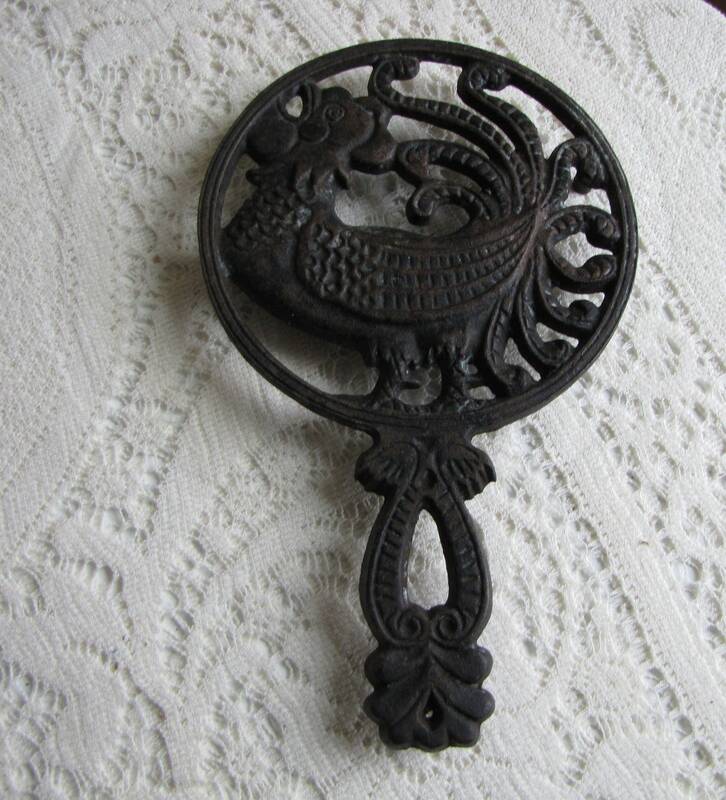 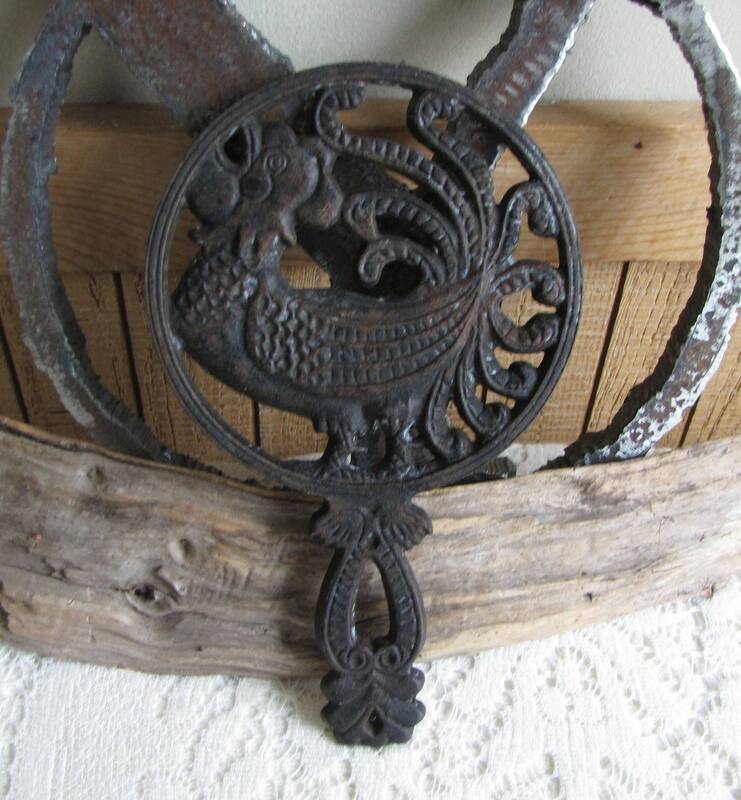 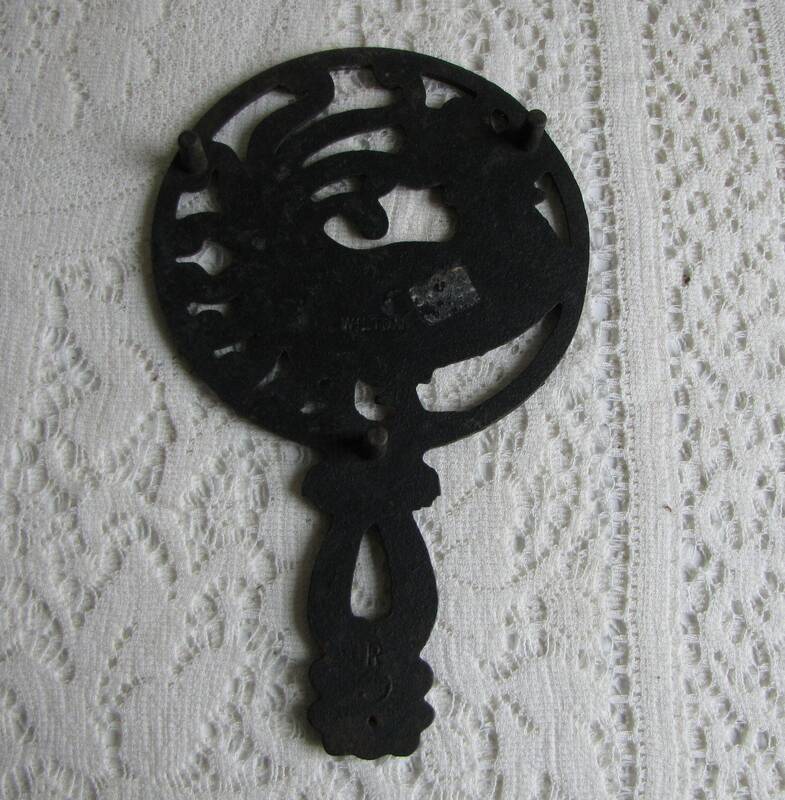 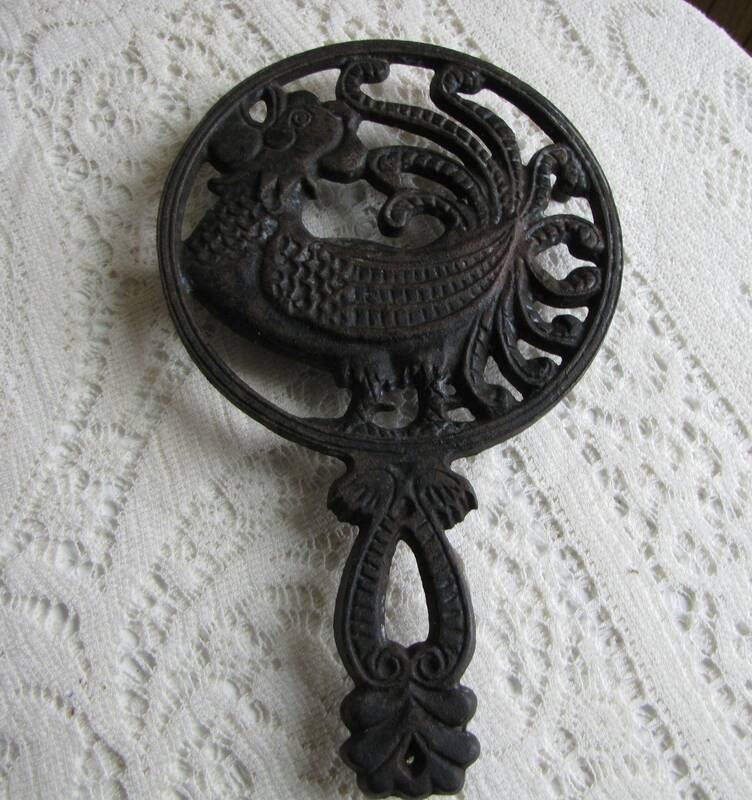 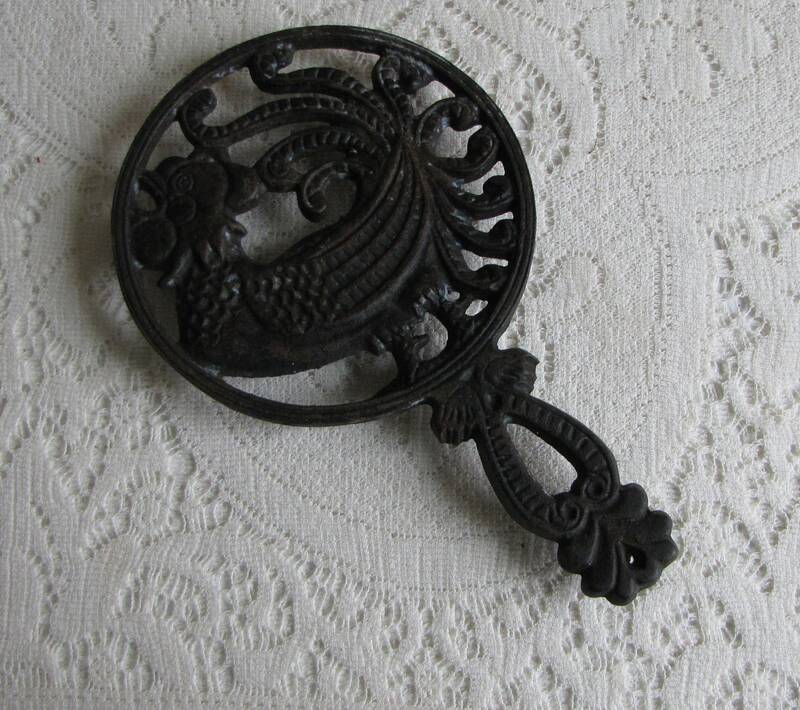 A cast iron rooster trivet that is in very good vintage condition; no marks or rust. 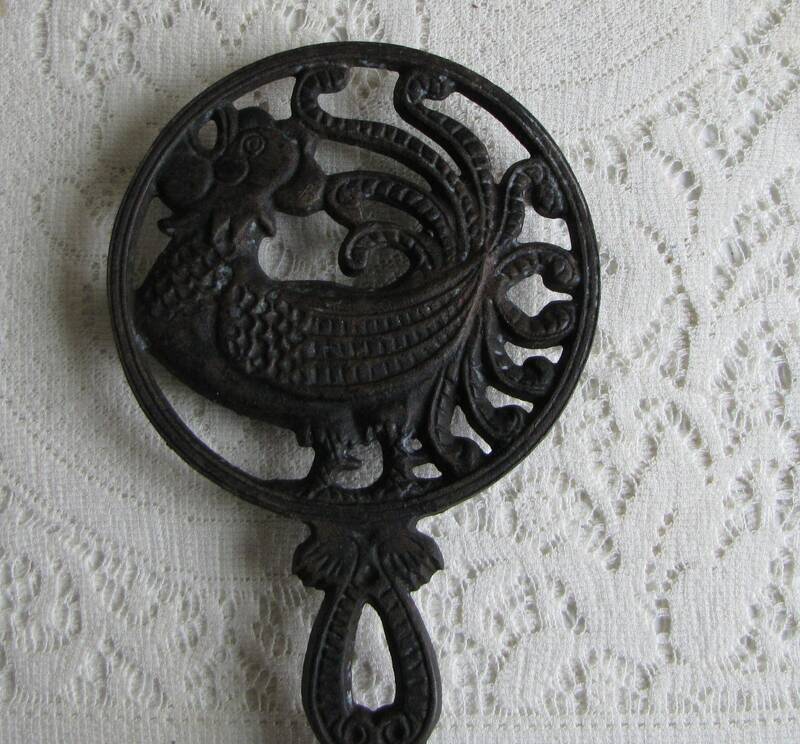 Made by Wilton. 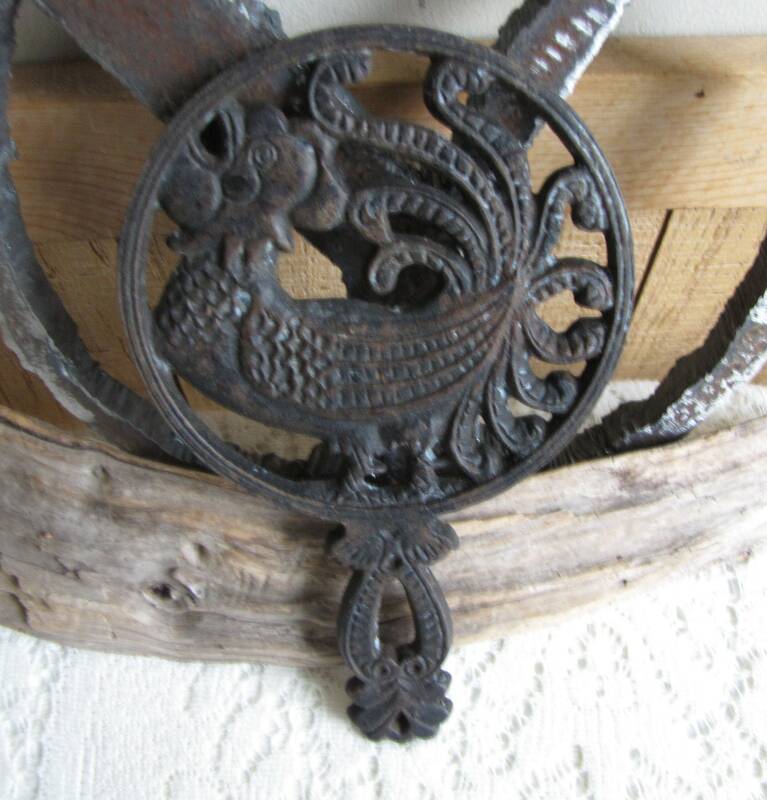 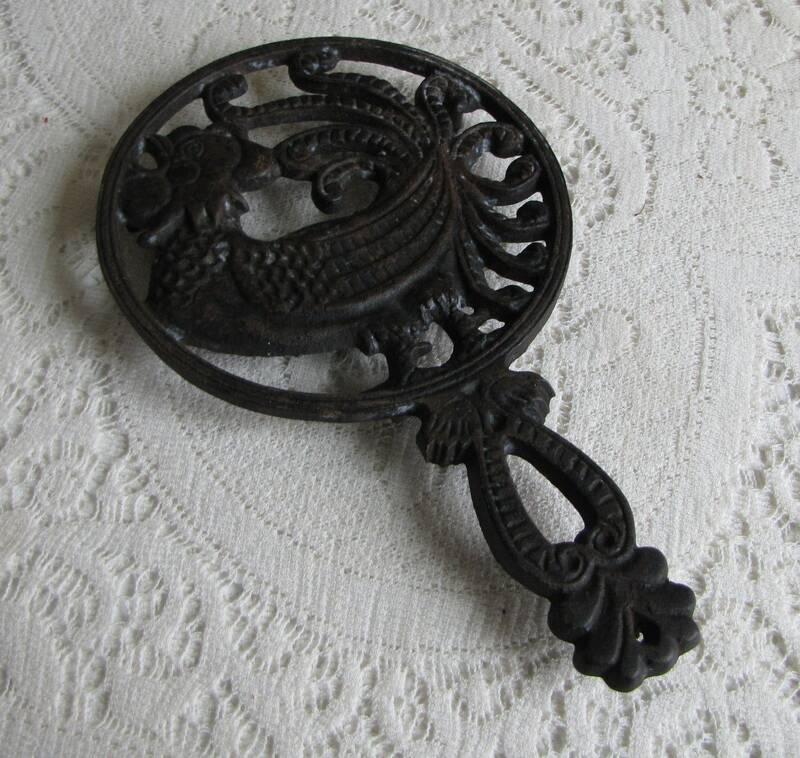 The trivet measures 9 inches tall and 5.25 inches in diameter.